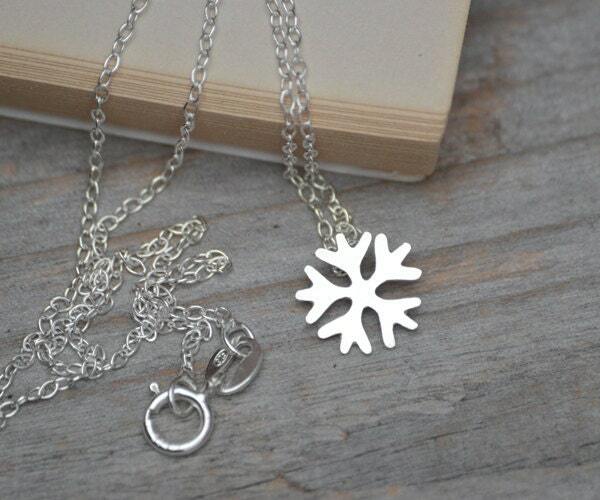 This snowflake necklace is from the weather forecast collection. It is handmade in sterling silver at my studio in Cornwall, the UK and is ready to ship. Perfect little snowflake and beautifully packaged. 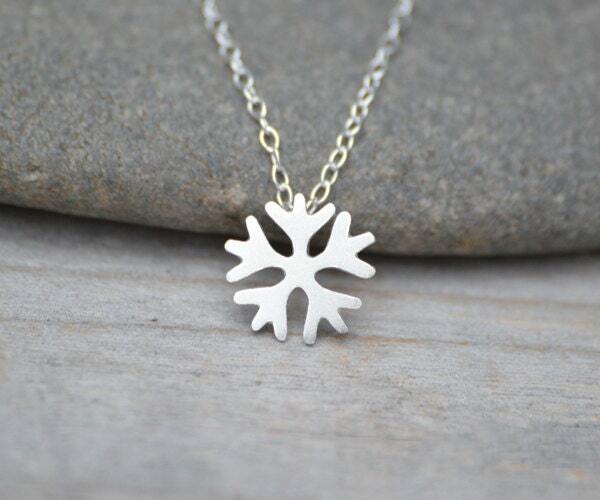 A small and delicate snowflake pendant design. Nice delicate sterling silver chain too. 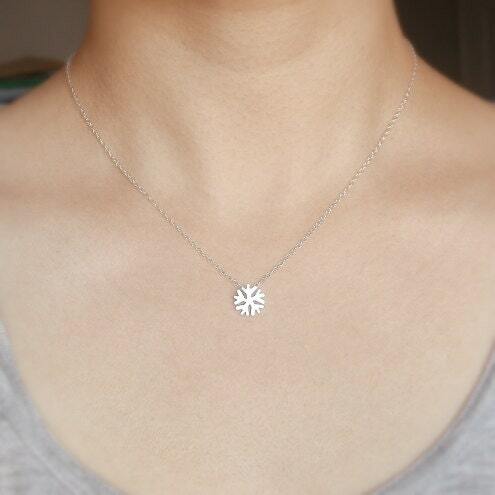 I love snowflakes, and wanted a necklace of a snowflake, but without it being cheesy looking. The silver is very delicate and has sort of a matte polish to it. It is just beautiful, and I feel like I can wear it all year around, not just during the winter time! Beautifully made and very dainty.